In the early years, before the extension to Portishead opened, typical services were 6 return journeys between Weston and Clevedon in Winter and 12 in summer. 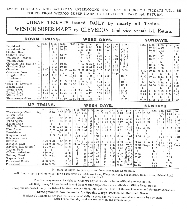 Clevedon to Weston took 30 minutes and cost 1 shilling return (5p) or 1/6 first class (7.5p) in 1905. 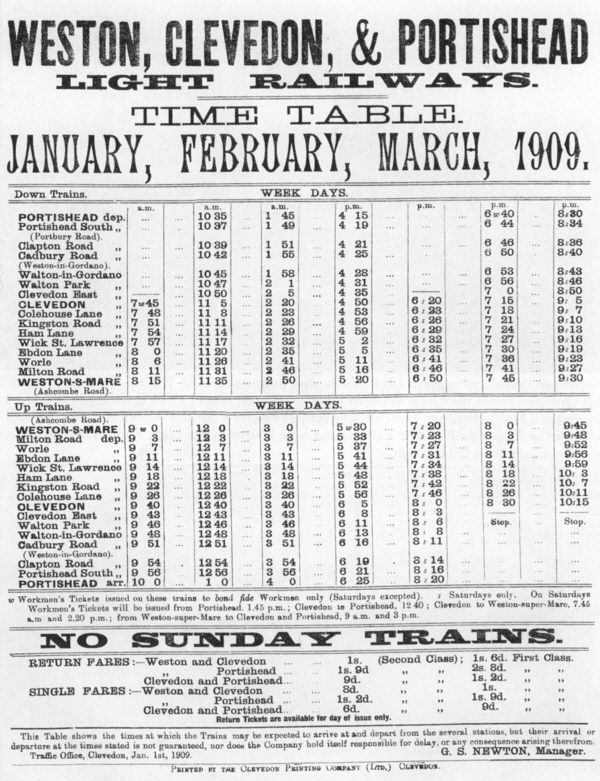 When the line to Portishead opened in 1907, there were 8 return journeys per day on the new section through to Weston, while on the Weston to Clevedon section, 14 journeys were scheduled. The scheduled journey time from Weston to Portishead varied from 1 hour to 1 hr 12 mins. Due to the large number of stations, on average one every 3/4 mile, the train sometimes stopped every 2-3 minutes. At the minor halts passengers had to signal the train to stop, and at night they had to wave a light! 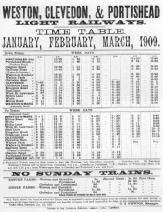 Many efforts were made to boost trade with extra trains for special events and Bank Holidays, and cheap day tickets, but the railway was always in financial difficulties. The introduction of the petrol railcars did help - they were much more economic to run. 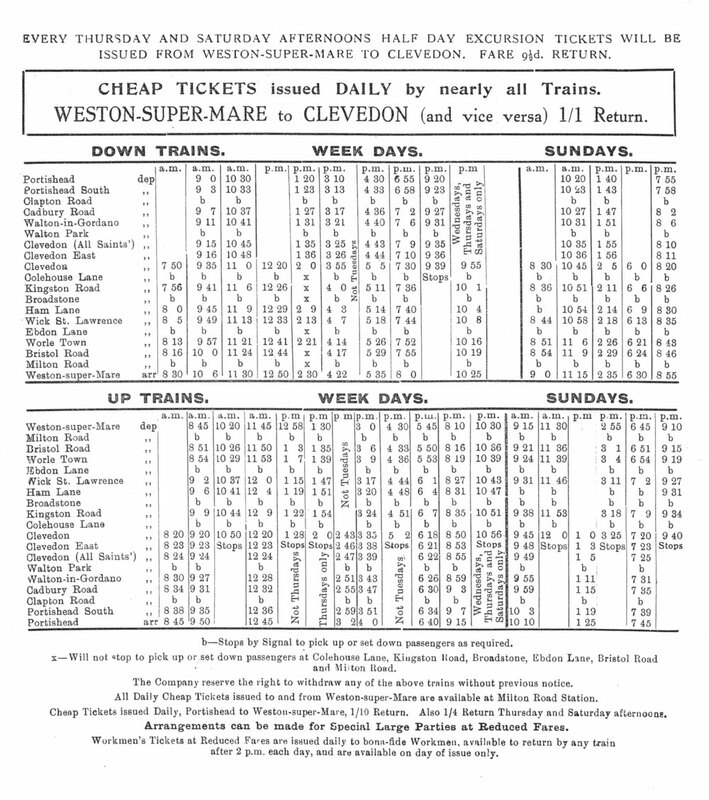 In 1939, the service was cut to only 3 through trains and 2 from Clevedon to Weston. 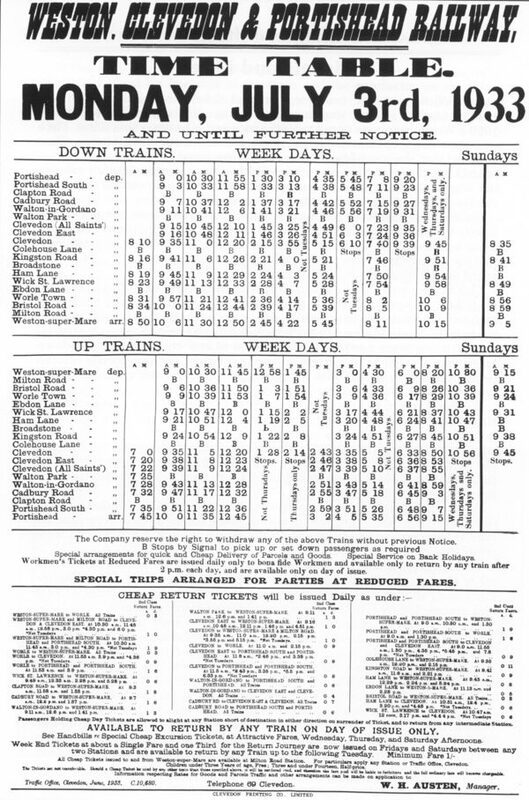 Below are examples of timetables from 1909, 1933 and 1938. Click to enlarge.